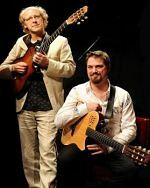 Performing works from their fascinating album ‘ The Colours Of Time’, Oxley & Meier aim to recreate live their broad palette of sounds, bringing at least ten differing guitars with them (nylon 7-string, steel string, fretless, 11-string fretless, sitar-guitar, 12 string, etc.). Expect lush and scintillating soundscapes ranging from Turkey to Brazil. 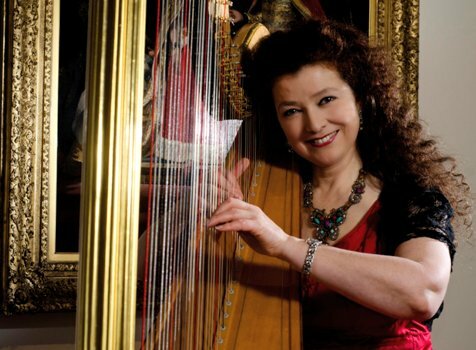 Elizabeth-Jane Baldry presents a sparkling harp recital, taking her audience on an entertaining journey through the history of harp music. She will perform captivating harp solos from five centuries. Refined Renaissance, glittering Baroque, naughty Victorian Fairies and contemporary music all find their way into her recital programme, interspersed with the stories behind the music - tales of romance, scandal and tragedy. Programme to include Handel, Debussy, and Deborah Henson-Conant. This concert is in aid of Parkinson's UK. Performing works from their scintillating new album, ‘The Colours Of Time’, Oxley & Meier aim to recreate live their broad palette of sounds, bringing at least ten differing guitars with them (nylon 7-string, steel string, fretless, 11-string fretless, sitar-guitar, 12 string, etc.). Expect lush and scintillating soundscapes ranging from Turkey to Brazil! Divertimento Ensemble is a flexible-sized group of musicians that perform major works of chamber music with players who love the repertoire. The Ensemble gives concerts with a variety of different sizes of chamber groups, from Quartets to Octets for strings. 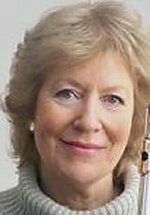 Judith Hall is Divertimento Ensemble's fine flautist. They play together frequently and enjoy exploring the varied repertoire for this combination of instruments. 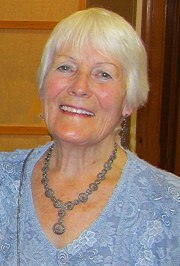 In recognition of Jeanie Moore MVO’s 90th birthday, she is presenting a concert in aid of WarChild with several eminent and well-loved performers, including Mark Bebbington; piano, Peter Fisher; violin, Craig Ogden; classical guitar, Peter Cigleris; clarinet and Elizabeth-Jane Baldry; harp. A celebration of life, love and music. This concert is in aid of WarChild. 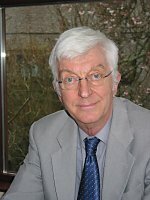 Celebrating the 80th birthday of Westcountry composer, Clive Jenkins. Featuring The Chamber Ensemble of London, directed by Peter Fisher - violin, and renowned pianist Margaret Fingerhut. Featuring Laura Deignan - Clarinet (with piano accompaniment), Indira Falle - Soprano and Piano, and guest performer Sehyogue Aulakh - Marimba. The Young Musicians’ Platform is a project run by Plymouth Music Accord, supporting young people with exceptional musical talent. 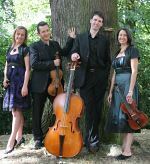 Tango Sonoro is a Devon/Cornwall based band specialising in Argentine Tango and Latin Music. They have been playing together since 2010. Richly influenced by both European and African Music, Tango falls neither in the classical nor the jazz genre. Lyrical melodies, syncopated rhythms and strongly accented dynamics make this music exciting and diverse. Their varied repertoire includes traditional tango, tango nuevo, milonga, valse and other latin pieces. 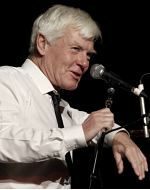 Mike Hatchard is an acclaimed pianist in Jazz and Classical music – as well as being an accomplished exponent with many other instruments. 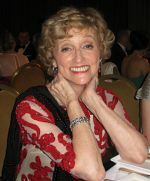 Heather Rees is a rhythmic dancer and lecturer in Tap Dance as well as in Modern Jazz and National Dance. Their combined presentation will encompass an exciting mixture of both Classical and Jazz. Mike’s solo presentation will cross both genres. Heather’s Tap Dance will include traditional pieces as well as original choreographies. The blend of their various styles results in a dynamic musical and rhythmical performance. 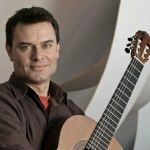 Classic FM favourite Craig Ogden brings the best of the guitar repertoire to the Spring Concert Series. Craig will be performing music by Dowland, Albeniz, Gary Ryan, Tarrega and more. Craig is well known to Plymouth audiences through his many previous performances in the city. He is one of the UK’s most recorded guitarists and his five Classic FM albums all shot straight to No.1 in the UK classical chart. 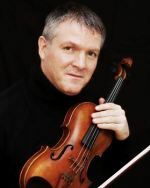 Craig has performed concertos with all the main UK orchestras plus many abroad. He is Head of Guitar at the Royal Northern College of Music in Manchester. Tickets £15, Students and children under 16 £5 from Dartington box office Dartington Hall, Dartington, Totnes TQ9 6EL, tel: 01803 847100, e-mail: bookings@dartingtonhall.com or online at www.wegottickets.com/event/377384. 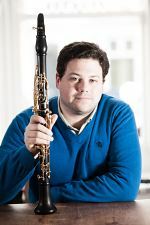 Rated by The Times as ‘amongst a handful of the world’s finest musicians’, Peter Fisher has performed all over the world and is the director of the Chamber Ensemble of London, often heard on Classic FM. By the age of 21, Peter Adams had become principal cellist of both the London String Orchestra and London City Ballet, and Professor of viola da gamba and baroque cello at the Royal Academy of Music - the youngest ever professor in the Academy’s history. These two celebrated string players rank in the ‘crème de la crème’ of musicians in the country. They always leave their audiences wanting more. Composers to include Beethoven, Bach and Handel. Supported by Gard & Co. 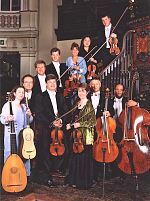 Directed by Peter Fisher, CEOL has given many classical concerts at St Martin-in-the-Fields, St James’s Piccadilly, The Purcell Room and Kings Place. It has long been associated with the Wavendon Music in the Garden Festival run by Sir John Dankworth and Dame Cleo Laine, sometimes performing lighter repertoire including jazz. Versatile programming, using special arrangements and new music, has led to many engagements with the London Film Museum in County Hall, the Banqueting House and the Victoria & Albert Museum. The Ensemble - in various combinations using from seven to fourteen musicians - has played for several music societies and festivals outside London. The players are handpicked from London's best. Their repertoire spans baroque, classical, romantic and new music. Guo Yue is a virtuoso of the dizi (Chinese bamboo flute) and bawu (Chinese free reed pipe). He was born in Beijing, China and as a young boy experienced the Cultural Revolution. In 1982 Yue left China for England, where he went on to study the silver flute at the Guildhall School of Music. He plays many kinds of bamboo flute and currently lives in London, recording for Peter Gabriel's Real World label. As one of the world’s great harpists, David’s solo concerts have taken him all over the world, playing many of the compositions that have been written especially for him. 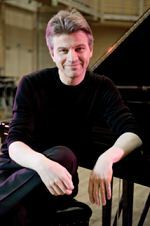 He has performed as soloist with the London Philharmonic, BBC Philharmonic, Danish Radio Symphony Orchestra and appeared as soloist with the London Sinfonietta at the London Proms with Sir Simon Rattle conducting. In 2000 he was Principal Harpist at a Prom Concert given by the World Orchestra for Peace conducted by Gergiev. This orchestra was composed of principal musicians from the world's great orchestras. 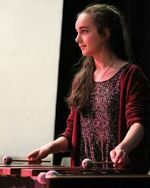 Alice has been singing since the age of nine and achieved Grase 8 in Musical Theatre and in ABRSM Singing. 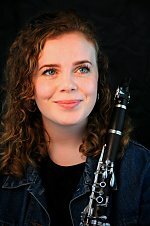 As a member of the Youth Music Theatre and South West Music School's Core Programme, she has sung in many festivals, including solo performances in the Hall for Cornwall and Truro Cathedral. The Young Musicians' Platform is a project run by Plymouth Music Accord, supporting young people with exceptional musical talent. The successful performers receive an award and are given their first professional contract. 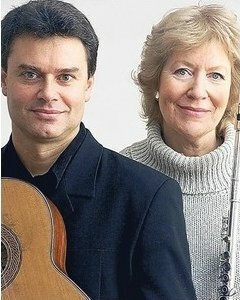 Peter and Dorothy like to set the scene for their performances with brief and enlightening introductions to the music, composers and instruments. 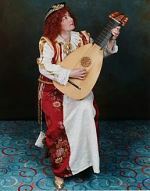 the range of instruments is an indication of the diversity of styles covered by their repertoire - from the Renaissance to the present day - from virtuoso Baroque sonatas Neapolitan love songs. Peter Fisher and Dorothy Linell had talked for some years of forming a duo to explore the extensive possibilities presented by the combination of violin with plucked instruments - 52 strings and a bow. 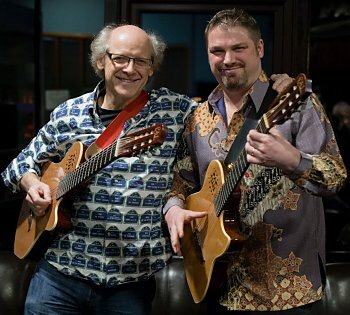 Playing with spontaneity and intuitive interplay, Pete Oxley and Nick Meier have a freshness to their masterful guitar playing and are renowned for their originality. Their repertoire of contemporary fare ranges from Turkish panache to soundscapes of Latin America, Hungarian gypsy music and beyond. Their skill stretches to a wide range of guitars: nylon string, steel string, 12 string, fretless and saz. Join concert organiser and promoter Jeanie Moore MVO as she takes you on another musical journey through her life. This time, highlighting the wonderfully unique experiences of living on a small island in the Bahamas during the 1960s. Drawing on her extraordinary adventures teaching, singing and sailing around the beautiful inland waters. Clive Jenkins: No Man's Land - a suite for double bass and strings with readings from English, German, French and Russian poets to introduce the movements. Tickets £10 from The Duke of Cornwall Hotel 01752 275850 and www.wegottickets.com/event/307379 or from Jeanie Moore - 01752 770345 e-mail jeanie@jeaniemooremvo.co.uk or from Divertimento, 01803 863677 enquiries@divertimento.uk.com . Contemporary fare ranging from Turkish panache to soundscapes of latin America, Hungarian gypsy music and beyond.